One of the most frequently asked question by my patients is “Are vitamins important?” Every day patients ask questions about nutrition and vitamins. Let me take this opportunity to address a few of these questions and concerns. Why do we need to take vitamins? Vitamins were discovered in the middle of the nineteenth century. Sailors found that a lack of certain foods would result in disease. It was understood that small amounts of particular organic molecules were essential for good health. The list began to grow as they learned to purify these molecules from foods. The term “Vitamine” was coined in 1911 when thiamine was isolated. Later the –e was dropped because some of these molecules were not amines. Vitamins act as coenzymes in the many necessary chemical reactions that occur in the body each day and in every cell. These reactions cannot take place without these essential molecules. Over time, the lack of vitamins takes its toll and symptoms begin to appear. What problems are there with vitamins? The vitamin industry is not as well regulated by the federal government as you might think. People assume that the government has tight control on the amount of vitamin or supplement that goes into their vitamin. This simply is not the case. The fact is, the product may or may not have the amount of vitamin listed on the label. I had a real awakening years ago while watching one of the investigative reporting programs on TV. 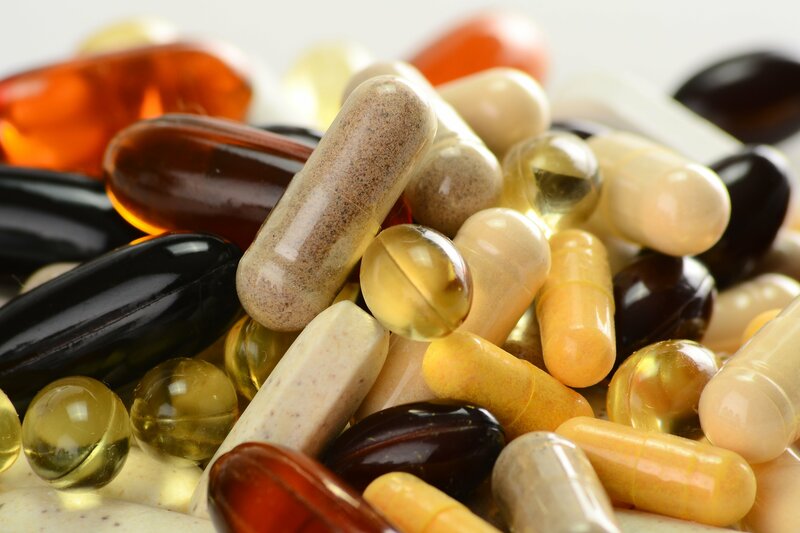 The investigator took vitamins and supplements off the shelf and had them tested. Some products had the listed quantities of vitamins and minerals while others had a fraction of the listed amount. To make matters worse, some vitamins are absorbed better than others. That ‘one a day’ vitamin you are taking may be passing through without being absorbed. The consumer often times is at the mercy of the sales person on TV or at the local store. Many times people will hear about a great product and rush out to purchase a bottle, only to find out that it did not help. The question remains whether they were getting the product that they were looking to purchase. I saw another investigative TV program where several experts were saying that vitamins do not cure anything. Nothing can be further from the truth. Diseases like beriberi, dermatitis, pellagra, anemia and scurvy are cured with vitamin replacement. As I said before, these molecules are essential. Can’t I get all the vitamins I need from the food I eat? People frequently tell me that they get plenty of vitamins because they eat fruits and vegetables. Sadly, this is not the case. Most of our foods in the United States are refined and the crops that are grown in this country are grown in nutrient deficient soil. The soil lacks many of the minerals and nutrients that the crops need but nitrogen is used to force the plant to grow. The result is nutrient deficient crops. These nutrient deficient crops are then processed which takes out most of the remaining macro and micro nutrients. The end result is a large population of people with various health issues. What makes a good vitamin? First, you will need to do a little research and find a pharmaceutical grade vitamin company. There are several good companies out there. This means that the company voluntarily submits to testing to assure its vitamins are 99-100% pure. Second, look on the label to check the quantity of vitamins that are listed. The RDA is the recommended daily allowance of vitamin. One hundred per cent of the RDA is the minimum amount of vitamin required to prevent serious, life-threatening diseases. This is not the “optimal” amount of vitamin. A good vitamin will have several times the RDA of the water soluble vitamins such as the B vitamins, Vitamin C and Folic Acid. The fat soluble vitamins can accumulate in the body, so you may see 150%-300% of the RDA of Vitamins A, D, E and K. There are other important nutrients besides vitamins such as alpha lipoic acid and CoQ10. Minerals are very important as well. The third thing you should do is look to see how many times per day the manufacturer recommends you take the vitamin. A good vitamin should be taken several times a day. The water soluble vitamins are absorbed and pass out in the urine within 4-6 hours. A one a day vitamin will only last half of the day. Finally, you get what you pay for with vitamins. The inexpensive one a day vitamin may not be doing you any good, because it is not absorbed. You may not be absorbing the vitamins and wasting your money. Vitamins are attached (chelated) to molecules in ordered to be absorbed. Calcium carbonate (Tums) works well to reduce stomach acid but it is not absorbed well. Calcium citrate, on the other hand is absorbed well. Look for vitamins that are chelated to Kreb cycle intermediates like citrate, aspartate, glutamate, malate and fumarate. The most commonly used intermediate is citrate. Citrate helps the body to absorb the vitamin. I believe so strongly that every person should take vitamins that my family and I take vitamins daily. I hope this gives you an understandable overview on vitamins and helps you in your quest for good nutrition and good health.